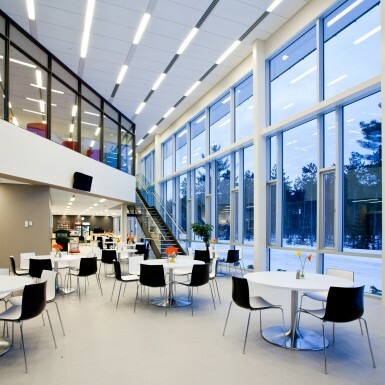 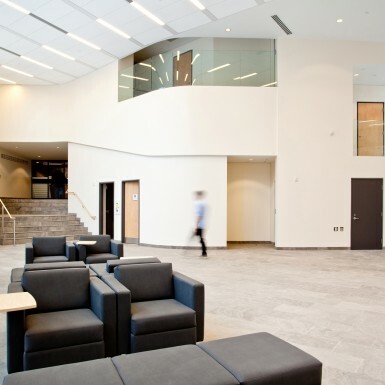 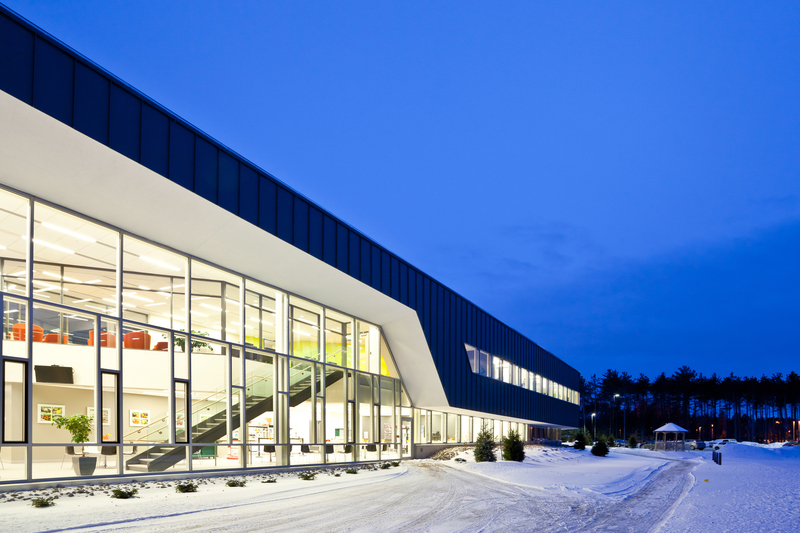 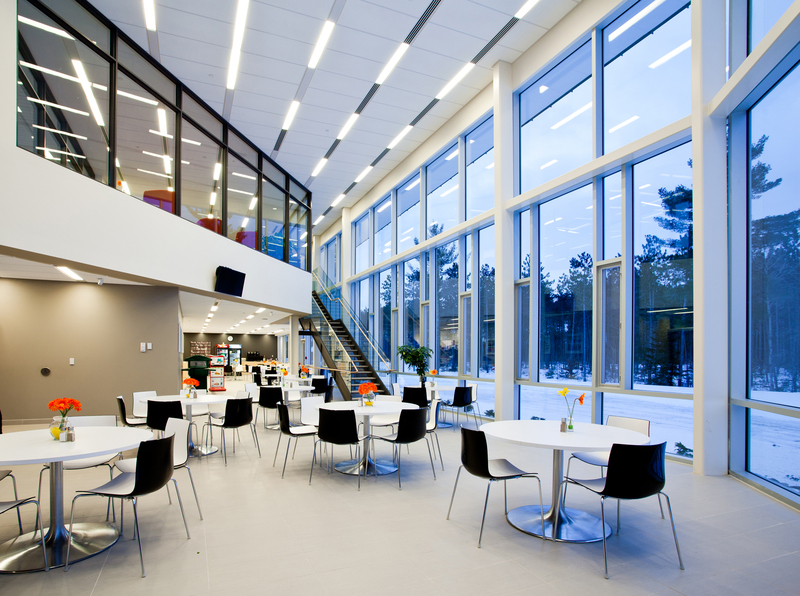 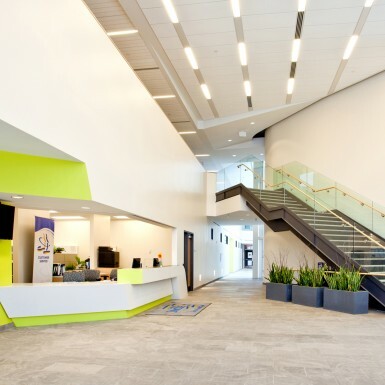 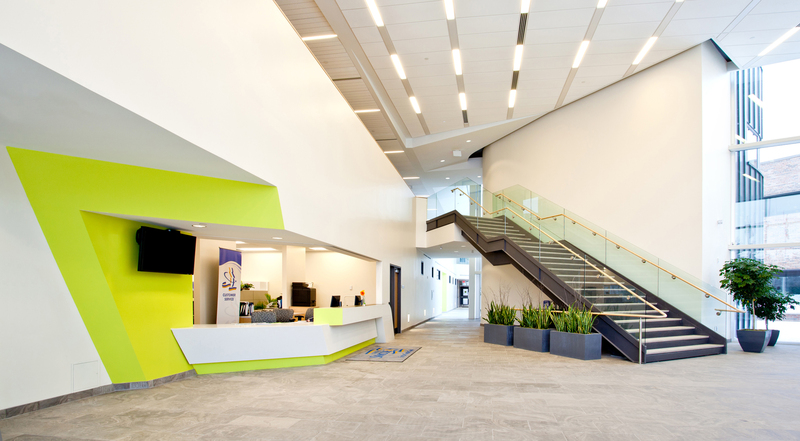 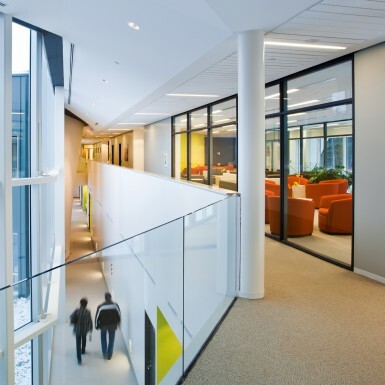 This 45,000 square foot addition to the existing County of Simcoe Administration Centre uses a unique organizing principle to solve accessibility and awkward existing functional relationships. 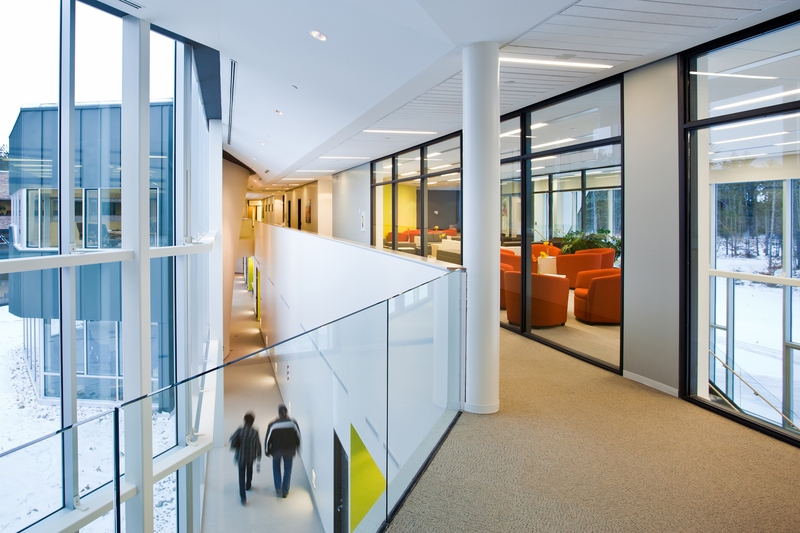 The new addition encircles the inner building creating open, functional office space looking out to the beautiful forest landscape with the inner circulation ring looking into courtyards created with the existing building. 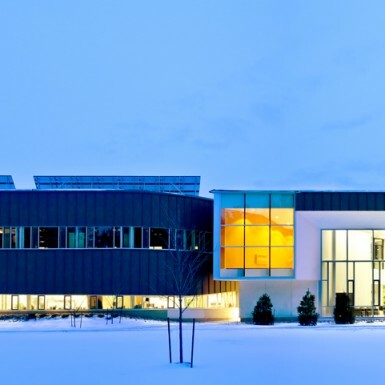 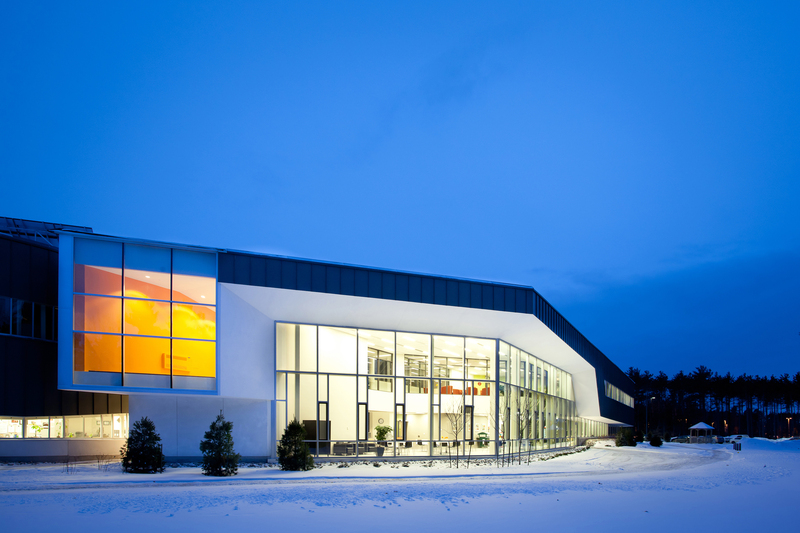 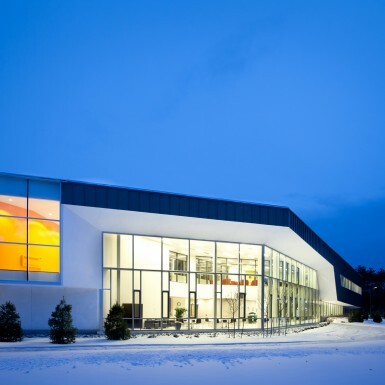 To enhance sustainability the building uses ground-source heating and cooling and photovoltaic solar power generation. 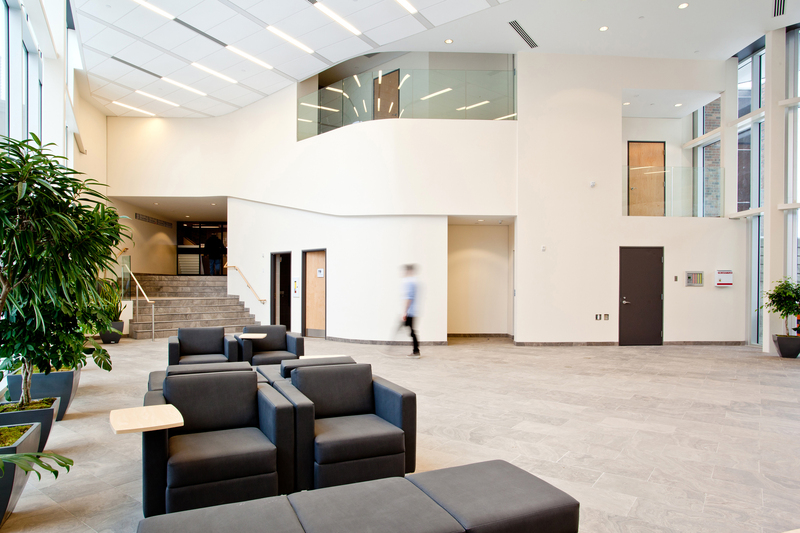 A new double-height lobby provides a new image for the whole complex and connects existing and new circulation routes throughout the building.